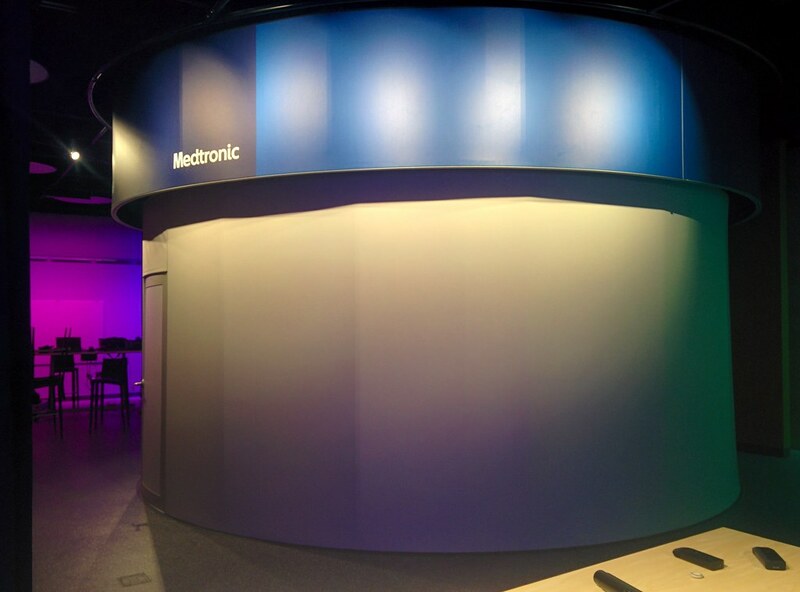 Medtronic’s Applied Innovation Lab is a collaboration hub for employees, customers, healthcare providers, and other partners. The 2,200 square foot space is a vibrant and dynamic space - always changing, depending what projects are in the works. Simulated environments, such as a patient’s living room or a hospital emergency room containing a bed and patient monitors are created to scale. But there are environments that cannot be completely experienced in a corner of the lab. That’s where the Applied Innovation Lab’s signature feature comes into play. It’s a retractable, 6-metre Igloo cylinder, that can transport a project team anywhere in the world - from inside the waiting room of a hypertension clinic in Ghana, to the Medtronic training centre in São Paulo, Brazil. Medtronic has found that, when you find yourself immersed in an unfamiliar location, it’s far easier to empathise with and relate to people and the unique challenges they face. As well as being a practical tool for Medtronic, the environment generated plenty of positive media coverage, including a great piece on CBS News.